As well as Christmas trees and decorations, nativity scenes are very popular in Lanzarote and you will see them pop up all over the island leading up to Christmas. Most families eat their main Christmas meal on Christmas Eve before midnight mass. The traditional Spanish Christmas dinner is ‘Pavo Trufado de Navidad’ Turkey stuffed with truffles however in coastal regions of Spain the most popular food for Christmas Eve and Christmas Day is seafood such as shellfish, lobster, crab and mussels. Traditionally, the Spanish go to Midnight Mass on Christmas Eve. ‘La Misa Del Gallo – The Mass of the Rooster’ as it is known is called this because a rooster is supposed to have crowed the night that Jesus was born. After midnight mass, people walk through the streets carrying torches, playing guitars and beating on tambourines and drums. Needless to say, they don’t get to bed until the early hours! Families gather to have a special meal and whilst children have some presents on Christmas Day, most are opened at Epiphany. Merry Christmas in Spanish is ‘Feliz Navidad’, there are other variations in some regions of Spain due to the different dialects but this is what is used in Lanzarote. December 28th is the Spanish equivalent of April Fools day in other parts of the world. People try to trick each other into believing silly stories and jokes, even the media and TV stations run silly stories. Nochevieja literally means ‘The Old Night’. Traditionally the Spanish eat 12 grapes with the 12 strokes of the clock at Midnight! Each grape represents a month of the coming year, and if you manage to eat all 12 in the timescale (not an easy task, which is why it is so much fun!) it is said to bring you good luck. When wishing someone a happy new year in Spanish you say ‘Feliz año nuevo’ and you will encounter this being said leading up to new year’s eve and in the days that follow. 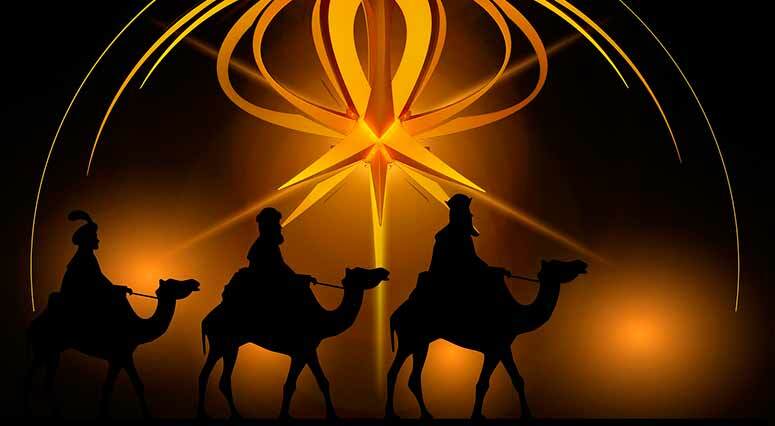 The Spanish celebrate Epiphany on January 6th, known as the Fiesta de los res Reyes. Epiphany celebrates when the Kings or Wise men brought gifts to the baby Jesus. Some children believe that the Kings bring presents to them at Epiphany. Traditionally, children write letters to the Kings on Boxing Day, December 26th, asking for toys and presents. On the eve of the Epiphany, 5th January, they leave shoes on windowsills/balconies or under the Christmas Tree to be filled with presents. Gifts are often left by children for each King: a glass of Brandy, a satsuma and some walnuts. Sometimes a bucket of water is left for the camels that bring the Kings! If the children have been bad, the Kings might leave pieces of coal made of sugar in the presents! Sound familiar? He has brown hair and a brown beard (or no beard!) and wears a green cloak and a gold crown with green jewels on it. He is the King of Sheba. Gaspar brought Frankincense to Jesus. He has long white hair and a white beard and wears a gold cloak. He is the King of Arabia. Melchior brought Gold to Jesus. He has black skin and a black beard (or no beard!) and wears a purple cloak. He is the King of Tarse and Egypt. Balthazar brought Myrrh to Jesus. We hope you’ve enjoyed finding out more about how Christmas is celebrated in Lanzarote and throughout the rest of Spain.